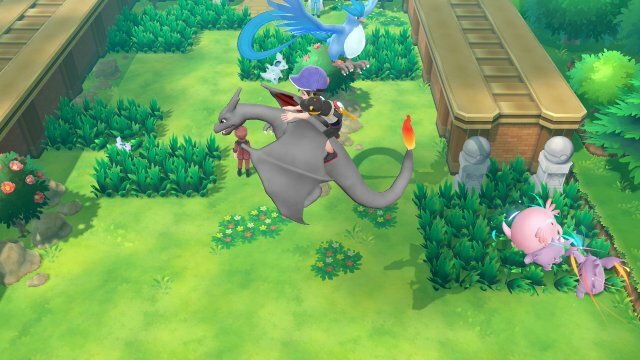 Pokémon Let's Go Pikachu and Let's Go Eevee feature a change to the Pokémon wild encounters. Wild encounters have changed considerably from past games. First, the Pokémon appear on the overworld and encounters start when you walk into it. Each Pokémon may sometimes have an aura. If it's a red aura, the Pokémon will be larger than normal. If it's a blue aura, it'll be smaller than normal. If it has stars above its head and the Shiny Colours, it will be Shiny. Each area has got a specific limit to the amount of spawns that can be available at any one time, and areas with large spawn areas such as caves and water routes can spawn Pokémon off-screen, otherwise they spawn around the patches of grass. Each area also has a maximum spawn duration which is typically around 150 seconds. However, Pokémon can despawn ahead of that if the spawning of another Pokémon is calculated to happen. Below is a chart showing all the maximum spawns in each area. However, when you do interact with Wild Pokémon, you no longer battle to weaken them. Instead, you go to a capture screen. There are, however, ways of improving the odds of capture. First up is the way you throw. 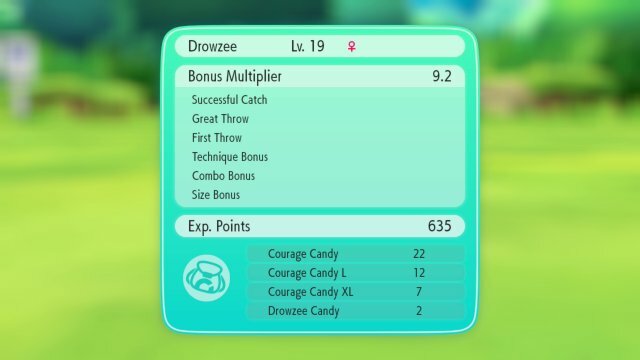 With all the Pokémon, there's a giant circle which shrinks down and if you hit in the middle of the circle, you'll get a special bonus which improves the rate of capture. There are three levels to this. In addition to that, if you're playing in local co-op play and both players throw the ball and it hits at the same time, you'll get a boost due to the Synchronized capture. 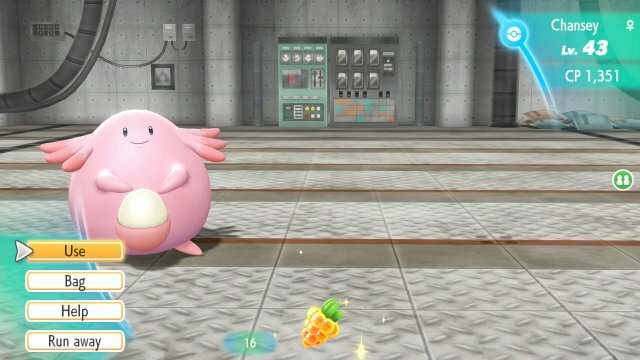 Finally, there are three different berries that improve the rate of capture. Each Berry has a higher boost making capture a lot easier than standard. Finally, there's another method that helps the catch rate. As you increase your catches of the same species of Pokémon, the capture rate will increase. This does not have to be within a combo.